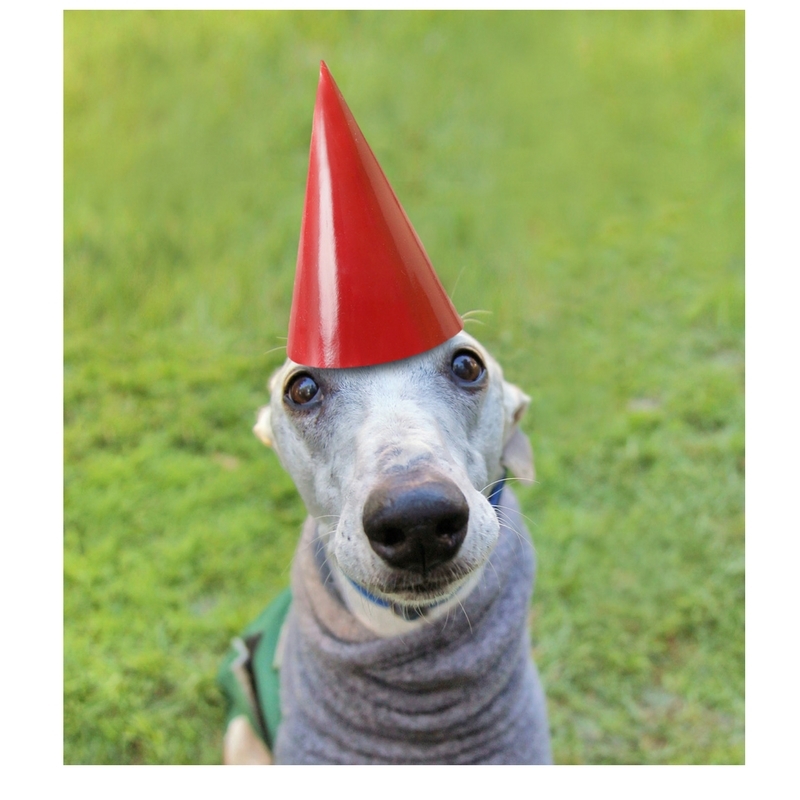 It's Your Dog's Birthday! How Will You Celebrate It? I love celebrations, especially when it involves one of my kids, so this month when my four-legged baby turns one-year-old, I'm throwing him a bash. While some friends and family roll their eyes, and my neighbor's think I'm corny, I don't care. The joy of seeing Tally Ho dive into his cake will overshadow all scoffing. As far as the party, my children (the furless ones) love any excuse to send out invitations and break out the bakeware. Whether or not Tally understands the celebrations on him, I know he'll enjoy every second and crumb. Do you long to throw your dog a party? I have three words for you: Go for it! While I've spent my 30-plus-year career helping people understand, troubleshoot and teach their puppies and dogs good manners, lately I've been called on to help plan playdates, supervise doggie gatherings and orchestrate celebrations. As an all around canine-party-planner here are some tips. What day are you celebrating? Loop your guests in with an event title. Are you hosting an actual birthday, a Gotcha Day, award ceremony or a moving-up celebration? Dog parties aren't just for birthdays anymore! Any time is the right time to socialize and celebrate your dog love. Guest List Is the party for your friends or your dogs' pals? Either way, it will be fun if you keep the list to the people and pooches he loves best! Let your guest list shape the rest of the party planning from where you'll meet to your party favors. If your kids are calling the shots, let them. Few grown-ups have the time to adore a dog as a child does. Yes, it might cost you a gob. Yes, your kids will use your dog's party to invite their friends. Yes, you'll have to make two cakes,one in the shape of a ball or a squeaky toy, another store bought or creative creation for the kids, but so what? My family records each pets' Gotcha Day: my kids still celebrate each and every one of them right down to Ruby our long-lived Chinese Fighting Fish! On or off leash? I stand by my claim that a dog leash is one of the cruelest inventions. Necessary, yes, but kind, no. Dog's don't like being tethered any more than you would. While you can make the effort to teach your dog to enjoy being hooked up, it's relative. All dogs prefer to play off leash. So when it comes to the question of partying, off leash is best. If you don't have a fenced enclosure, schedule a time to meet at a local dog park. Still stumped where to hold your event? Try a few doggie day care centers: they may be willing to rent out their space. Your Menu Since dogs and people have different nutrition needs read up before you create your menu. Make a head count of dogs-to-people so you'll have enough food to serve everyone. Potlucks, where everyone brings a dish, can be fun for any get- together. Like kids who have allergies, individual dogs may have sensitivities too: ask anyone bringing a dish to share to include a list of ingredients. Activities Few dog's play alike. Consider the games your dog guests like best. Tug, fetch, body slamming and teeth gnashing are all fair game, but if you're bringing dogs together who haven't met, make sure chaperones are on hand to redirect them if the interactions get dicey. Cake Few dog cakes measure up to our standards. I recommend a split fare, although a few cross-species dishes can be found in one of my all time favorite canine cuisine book, the Doggone Good Cookbook (St. Martin's Press). Party Favors Party favors also depend on the recipient. A cake-shaped squeak toy is a no-brainer, although you can get more creative in your offerings passing out a busy toy or treat-stuffed pacifier to settle the dogs' on their way home. Are the party favors for people? The world is full of dogcentric chachkies that will commemorate an afternoon well spent! Of course, I can't end this piece without mentioning the importance of spay/neuter. A couple of unaltered interactions may leave you with a few extra "party favors.". Stay tuned here and on my Facebook page for photos from Tally Ho's birthday bash. And don't be shy! Share your images and ideas for celebrations had or hoped for. Remember, life's an adventure. Call your dog and cmon' let's play!